Oil and gas producers are teaming up again for the second year of a program to provide graduating high school seniors exposure to the California oil and gas industry through a summer employment program. E&B Natural Resources, California Resources Corporation (CRC), and Macpherson Oil Company are collaborating with California Independent Petroleum Association (CIPA) and several school districts throughout the state to provide graduating seniors a summer experience that will provide exposure to quality oil and gas industry career options available along the educational spectrum. “When the district was approached, we did not have an internship program and welcomed being a part of the pilot. The Cuyama School District is establishing an energy career pathway and this program demonstrates the connection between what students learn in the classroom and how it can apply to their future employment,” said Dr. F. Paul Chounet, Superintendent from Cuyama Joint Unified School District, located in Santa Barbara County, who advertised the program and recruited students to apply. Despite several years of an economic downturn in the industry due to low oil prices, the companies prioritized their participation in the program. The program also received grant funding from Energy Partners Foundation, a non-profit focused on science, technology, engineering and math (STEM) education in Santa Barbara County, to assist with the costs. “Market conditions are cyclical and our members understand the importance of investing in our future workforce. We hope these deserving students gain work experience that will lead to well-paying energy careers and learn more about an industry that is often maligned by those who do not understand our economic and environmental contributions to the state,” said Rock Zierman, chief executive officer of the California Independent Petroleum Association. Alysa Arndt: Alysa Arndt was placed with CRC. She is a graduate from Taft Union High School in Taft where she was active in several sports and clubs. She will be attending San Diego State University in the fall, majoring in Business Administration. She aspires to become a Financial Manager. In addition, she has worked hard at giving back to the community of Taft; working at West Side Recreation & Park District. She has a strong desire and interest to learn more about the oil industry. Jazmin Ojedas: Jazmin Ojedas was placed with E&B Natural Resources. She is a graduate from Cuyama High School in Santa Barbara County where she participated in the Future Leaders Program. Jazmin is bilingual and lives on a ranch in Ventura County where she has fixed fences and tended animals. She applied for the program because she desired “hands on” experience. She has an interest in nursing and is considering attending Taft College. Karen Mancilla: Karen Mancilla was placed with Macpherson Oil Company. She is a graduate of Cuyama Valley High School in Santa Barbara County where she was active in student government. She lives in Kern County and previously spent a summer doing agricultural work in a rural area of the Cuyama Valley. 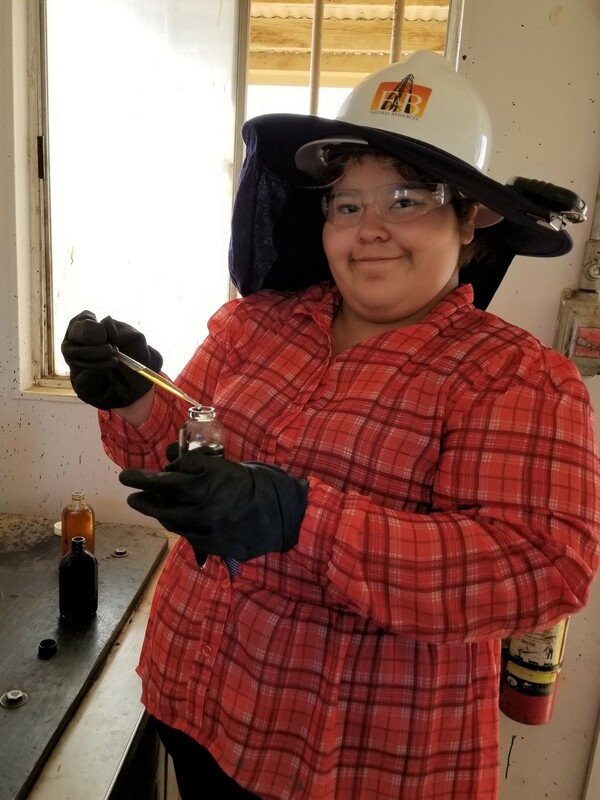 She is bilingual and joined the program to learn more about the oil and gas industry and STEM careers. She is considering attending Taft College and would like to become a math teacher. Maria Rosas: Maria Rosas was placed with E&B Natural Resources. She is a graduate from Lincoln High School in San Diego where she participated in the Lincoln Leaders Program and Adventure Club. She is bilingual and enjoys new experiences and meeting new people. She completed one year at San Diego City College and aspires to become a math teacher. She hopes to gain an understanding about how a company works in and with the community. Mya Thein: Mya (MT) Thein was placed with CRC. He is a graduate from Crawford High School in San Diego where he held perfect attendance. He was recently awarded with two scholarships, the Auto/Diesel and Murphy scholarships. He has been accepted into Miramar College and plans to study engineering. For the past six years, he volunteered as a Karen language translator in his community. This summer, he is excited to gain skills in public speaking, conflict resolution, and leadership development. Internships began in mid-June and students will work while residing in California State University, Bakersfield dormitories.